We would love to hear from you with any enquiries or questions that you may have. Feel free to call us or send an email via the form below and we will get back to you as soon as possible. The entire process was seamless, smooth and stress free and couldn't have been better. The quality workmanship of our home is something rare in today's society and the team treated our home as though they were building their own. Tim’s honesty and integrity provided us with a high level of confidence and enabled us to relax throughout the building process. Building with Trigg Constructions was a great decision. The fact that we communicated directly with Tim who literally was on the tools, building our house cutting out any middle man, was the biggest draw card. Tim's professional and friendly manner made the experience of building much easier and his effective communication meant that we were kept informed and involved through every step of the project. From the initial meeting with Tim through to the final hand-over, every aspect of the build was done to the highest standard. 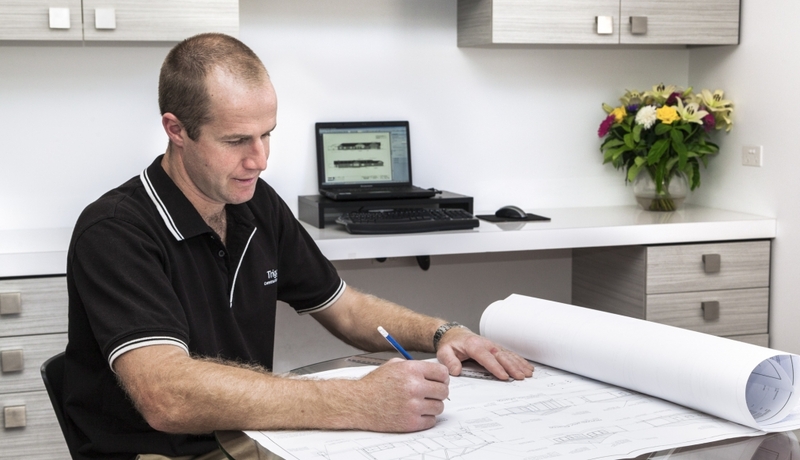 Tim’s professionalism, wonderful communication and exceptional attention to detail made the building processes a very enjoyable one and our end result was a beautiful quality built home.